My second post about BestHairBuy online store will be about Clip in hair extensions. Clip in hair extensions came out recently and caused amazing reactions. They are a solution for all you girls who want to have long beautiful hair but yours just doesn’t want to grow that long or you are lacking some thickness in your long hair. 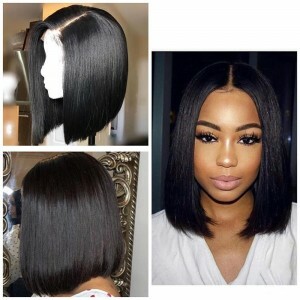 They are so popular because they are very practical and easier to wear then saw-in extensions which you have in your head all the time and you need to sleep with them or work out which can be very annoying. With clip in extensions you have freedom of putting them on by yourself whenever you want to have longer hair, and then taking them off when you don’t need them. Clips are very easy to install, you just need a little practice to see which way works the best for you. 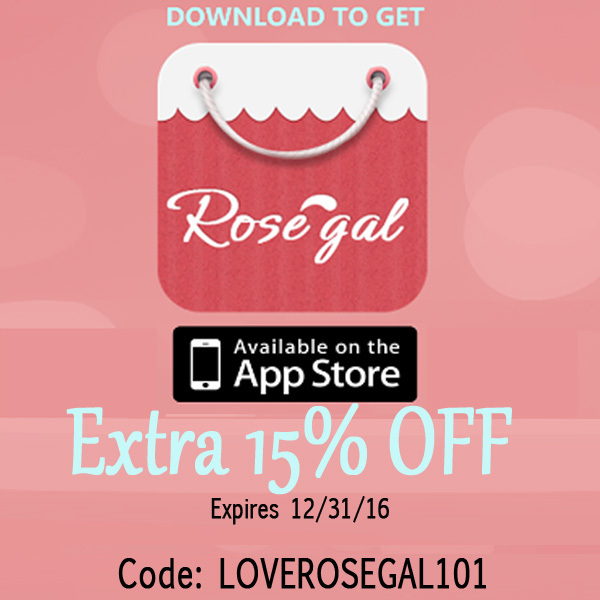 If you are more interested in salon hair extensions, you can find them HERE. On BestHairBuy you can choose from three different types: Regular 100g, Deluxe 160g or Super Deluxe 200g. The difference is in thickness, the 100g are made for people with fine,thin hair, 160g are for volume for all types of hair and 200g are very voluminous for celebrity inspired hair looks. You can also choose from wavy clip-ins or straight hair clip-ins and many different colors. Good thing about hair extensions is that you can also dye them to match you hair color perfectly and your hair stylist can style them and shorten them to your liking. There are also wavy clip-ins are these ones are 100g 18inch extensions. You can find them in five different colors and you also get 7 pieces with 16 clips on them. There are my favorite ones! They are 200g, 22 inch clip-in extensions for that mega volume, gorgeous celebrity hair look. They come in 14 different colors, all the shades of brown, blonde and even red. Which is a lot of hair! 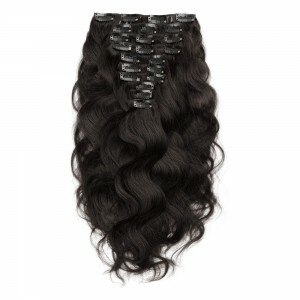 You can also find that same style of 200g 22inch extensions just wavy, so you don't have to curl your hair every day! If you like these clip in extensions you can find more on BestHairBuy.com or you can look at BestHairBuy wigs because they also have amazing wigs! Today I wanted to share with you a post about wigs. Nowadays, women have so much choice when it comes to styling your hair and wearing wigs has become a normal thing. 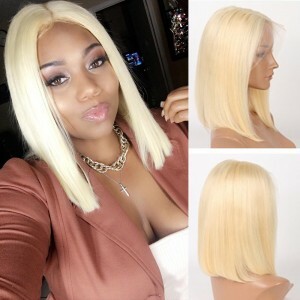 It’s so nice to find a store like BestHairBuy that has so much options when it comes to wigs and extensions for those who need them, and for those who just want to change their hairstyle and hair color every day. I'm so in love with the style of this one! it has amazing section on the side and natural black color of it. You can choose from two different lenght, a 10 inch or a 12 inch wig, or you can also cut them and style them to your own preferences. If you click on the link it will send you directly to that page and you can see in the comments section that girls who bought it are very pleased with it. 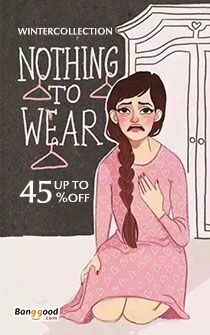 Also, it’s on 50% sale right now, can this get any better? This one is a long bob style in amazing platinum blonde colour, perfect if you want to lighten your hair, but don’t want to risk it being damaged afterwards. The last one and my absolute favorite! This is the color that is so trendy at this moment and a color that you can probably never achieve by coloring your hair because it will fade out very quickly. My favorite part of it are the darker roots that makes it look like your own hair. 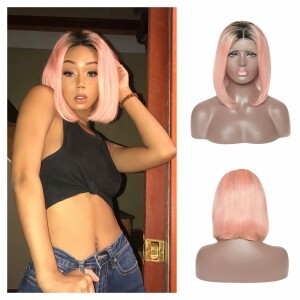 I hope your like what I picked out for you and don't forget to check out more awesome front lace wigs HERE and loose waves HERE. Also, if you register right now you can get a 10$ gift coupon you can use on these amazing wigs!